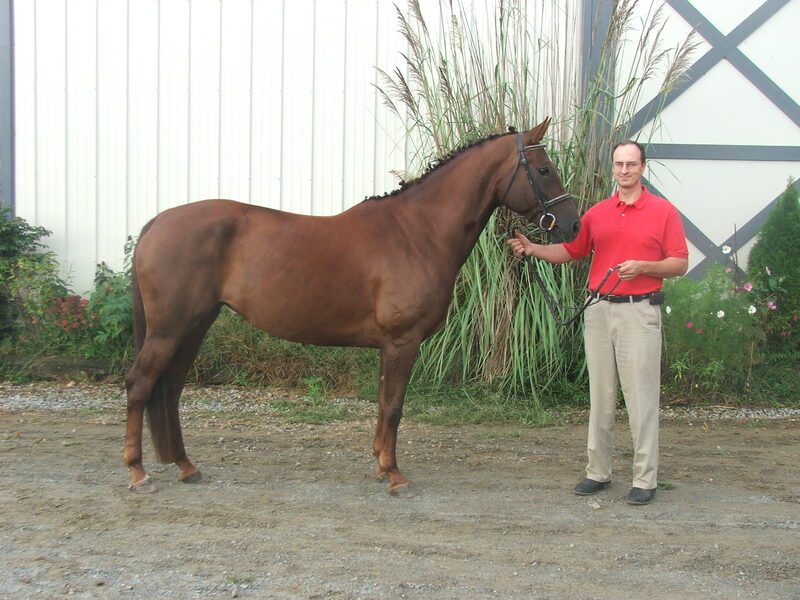 2002 Hanoverian Main Studbook Mare; Liver Chestnut – 16 hands; By ES Domiro out of Treveri by Trapper. Profile. 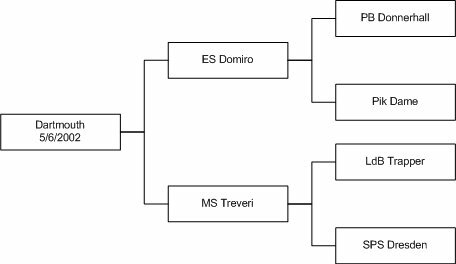 Dartmouth (named after our College alma mater located in “Hanover” New Hampshire) is Treveri’s 2002 daughter. Dartmouth is by ES Domiro/ES Donnerhall and has inherited the spectacular movement of the Donnerhall line. Dartmouth has a powerful extended trot with stunning reach and float. She has a nice walk and a smooth balanced canter. She is a big mover for a smaller-packaged horse. Like her dam Treveri, one of Dartmouth’s strongest qualities is her temperament. Dartmouth is a people’s horse. She travels with her nose off your shoulder and would love nothing more than to clean your hand with kisses. We started Dartmouth ourselves as a 2 year old. She was super easy to start and a very smart girl. 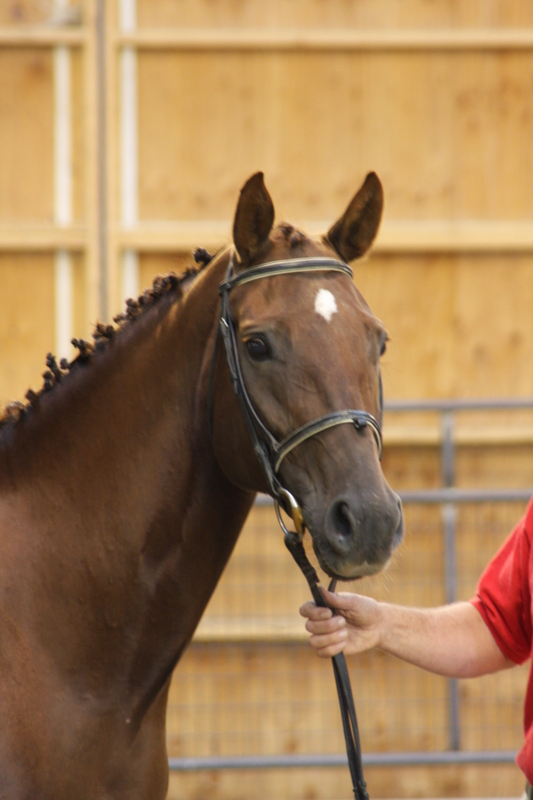 Dartmouth did very well in her Hanoverian inspection in 2007, and was entered into the Hanoverian Main Studbook. In 2009, she excelled at the Silverwood Farm Oldenburg Inspection where she was awarded Premium status with a score of 106 which placed her in a group of the top ten scoring mares nationally. OffSpring. Dartmouth had her maiden foal in 2008 and what a beauty Sunny LS was. 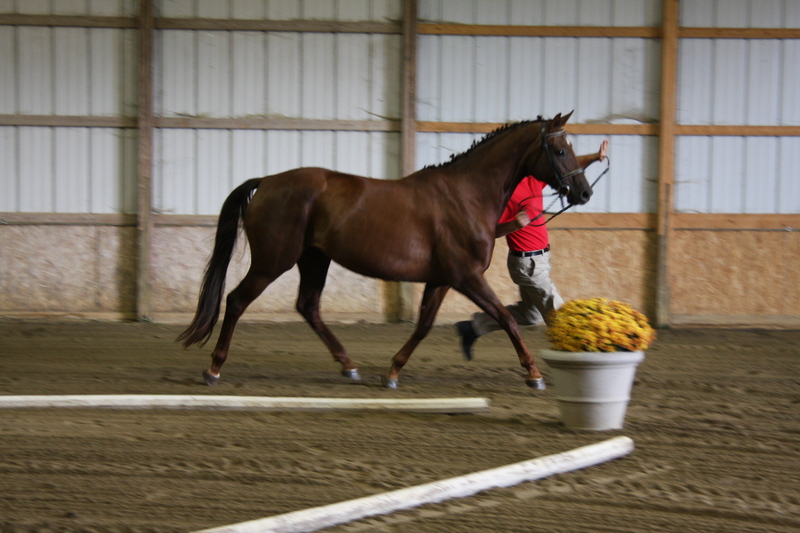 Dartmouth’s 2008 daughter Sunny LS by Sempatico was sold as a yearling for dressage. Dartmouth is in foal to ES Welcome S for an early spring 2010 foal.